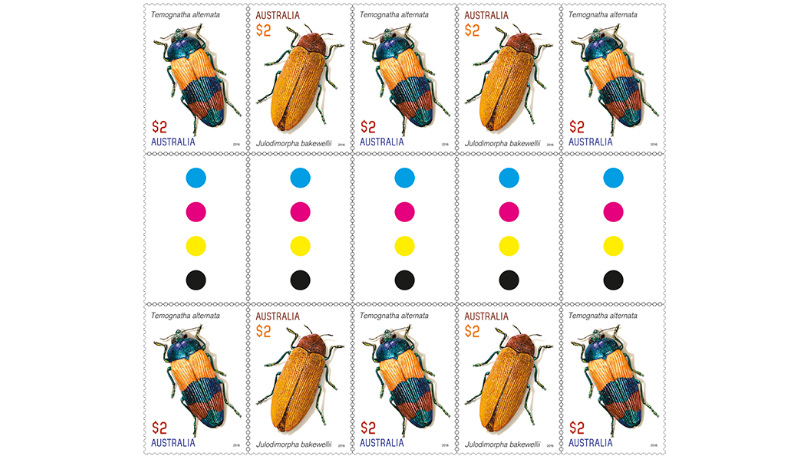 Just over 1,280 (of around 15,000) Buprestidae species are found in Australia, spanning more than 80 genera. 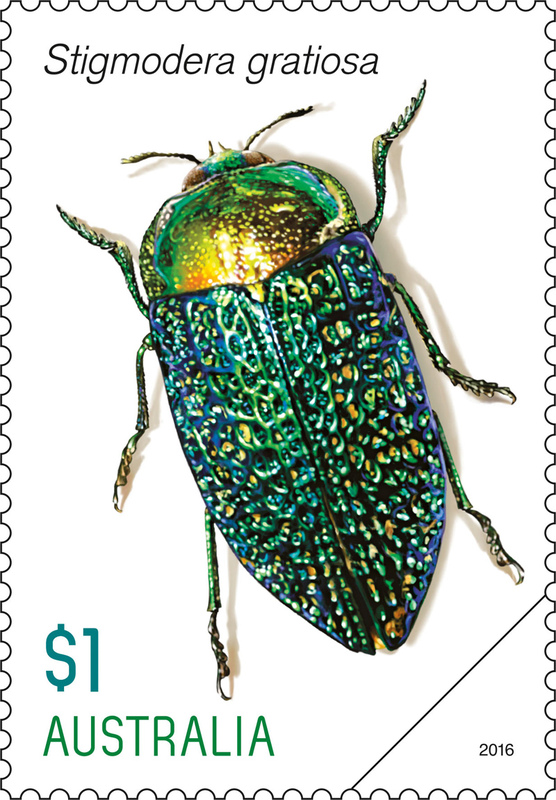 They are commonly known as “jewel beetles”, due to their spectacular and iridescent appearance. Their colour changes depending on the angle of the light and doesn’t fade, which is how jewel beetles retain their jewel-like sparkle, even after they die. During the warmer months they are often seen on the flowers of native trees and shrubs, in various forests, woodlands and desert environments throughout Australia. Most adult jewel beetles are nectar feeders, drinking from tea-tree and eucalyptus flowers, but some are leaf feeders. Jewel beetles are relatively small. Though many jewel beetles are under 20 millimetres, they can range in size from three to 80 millimetres. They have an elongated body shape, large eyes, short antennae and a short head, which fits tightly into their thorax. Some jewel beetles, when disturbed or feeling threatened, will tuck their antennae and legs into their body and drop to the ground, as a defence mechanism. This bright green jewel beetle, endemic to Australia, can be found feeding on the nectar of wildflowers in Western Australia. They generally range in length between 15 and 20 millimetres. While the genus Stigmodera was originally made up of 117 species, a recent reclassification of this genus showed it actually contained only seven species of Stigmodera, all of which are found in Australia. 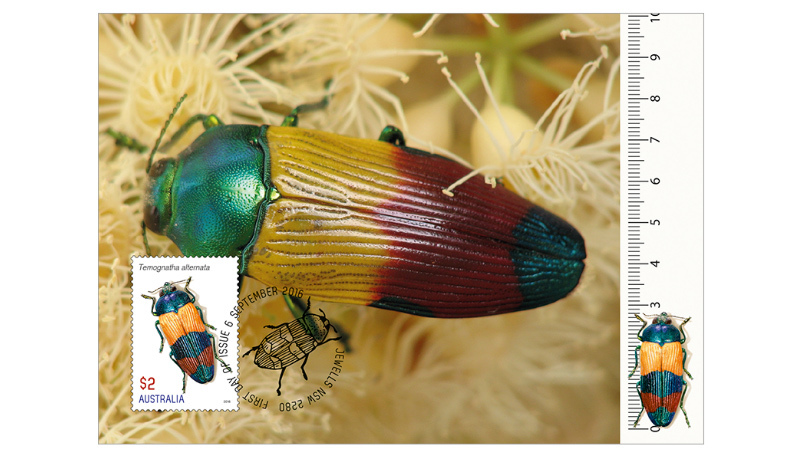 In Western Australia, all jewel beetles are protected under legislation. 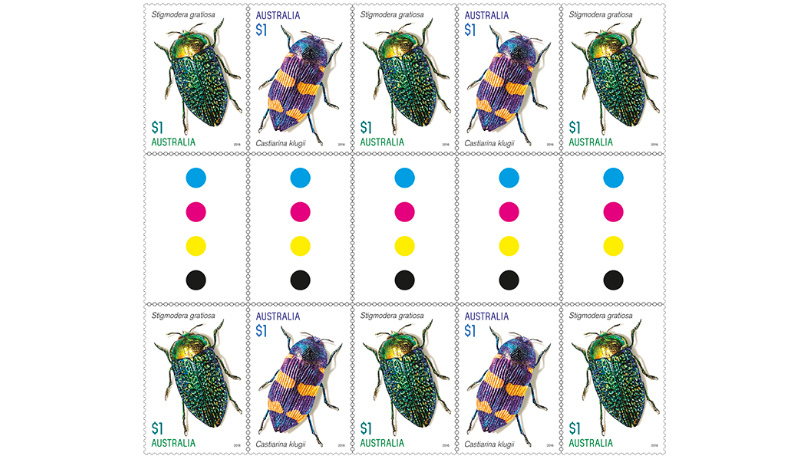 Castiarina is an incredibly diverse genus of jewel beetle and the largest in Australia, with 476 species found all across the country. 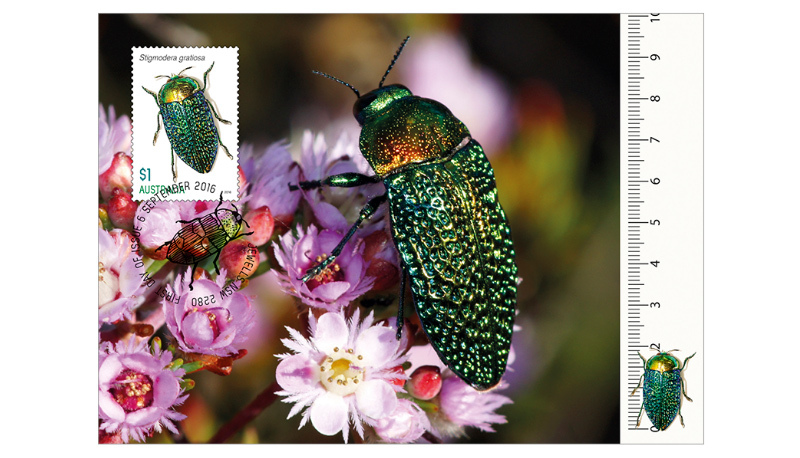 Five species of Castiarina are listed as Data Deficient in Victoria. 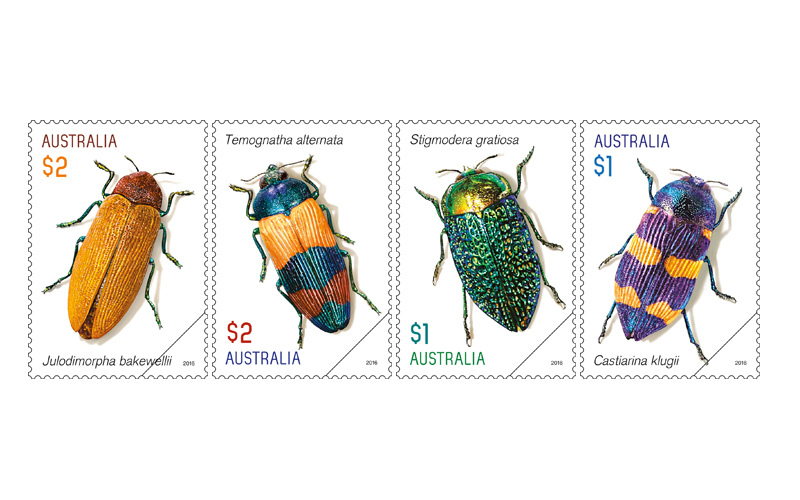 The species Castiarina klugii is found in Victoria and New South Wales, and is around 15 millimetres in length. 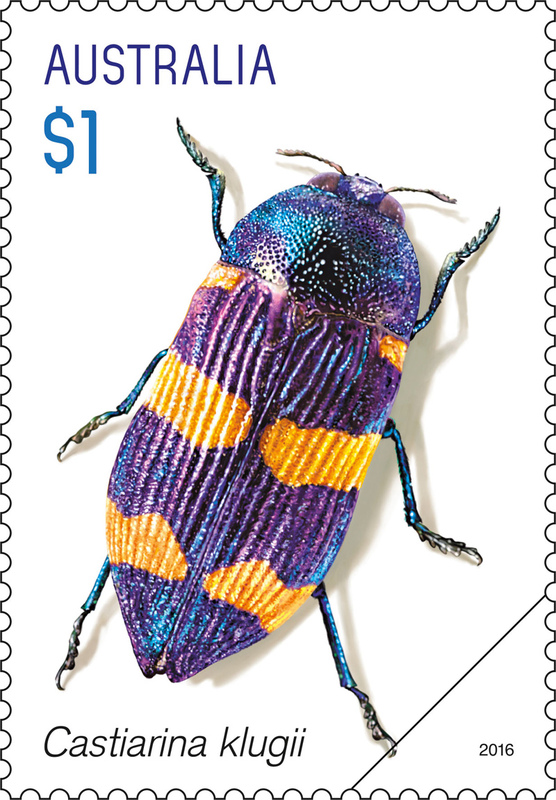 Due to its stunning metallic colouration, the beetle can range in colour from deep blue with yellow to deep purple with orange, depending on the light. Temognatha alternata is a medium-sized jewel beetle, with distinctive yellow, green and red bands. It is endemic to Australia and is found on the east coast of Queensland. 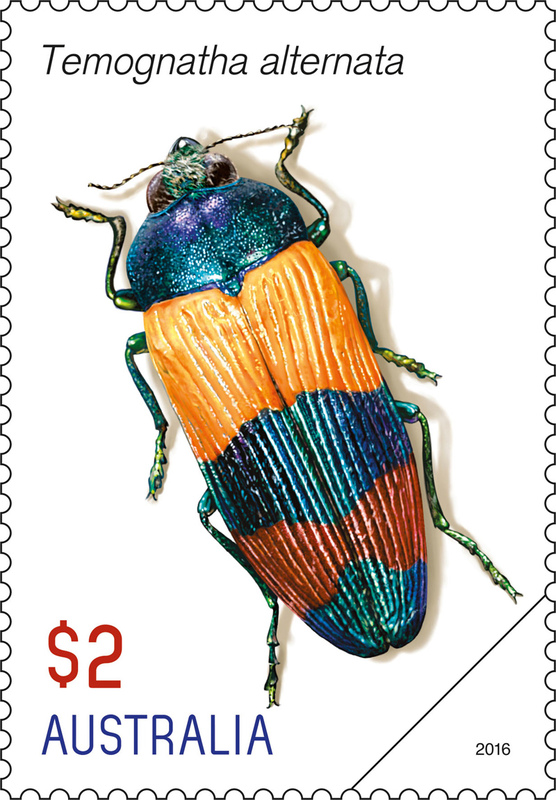 The Temognatha genus of jewel beetle includes 85 species and 10 sub-species that are found within Australia. Four species of Temognatha are listed as Vulnerable in Victoria and six species as Data Deficient. Tasmania has listed one species as Endangered. 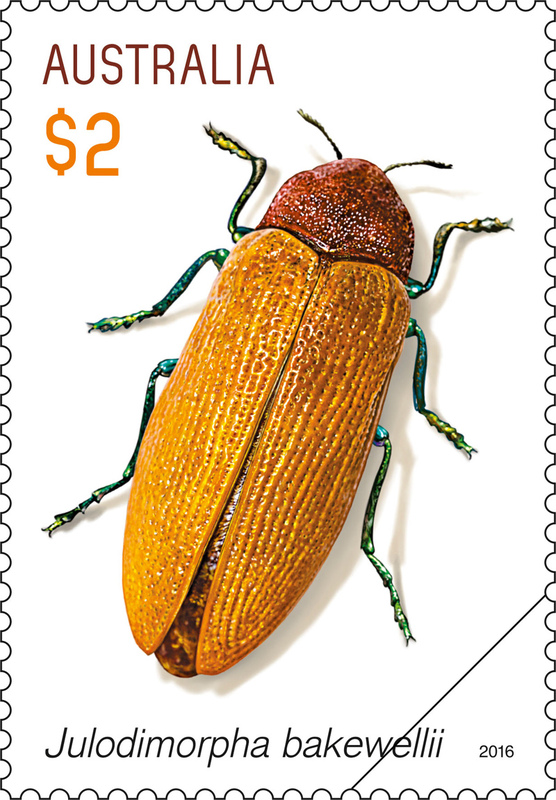 Julodimorpha bakewellii is a larger orange-brown jewel beetle, endemic to Australia, and can measure over 40 millimetres in length, even up to around 60 millimetres. It favours dry conditions and is found in New South Wales, Queensland, South Australia, Victoria and Western Australia. It is well known for its association with a humorous scientific discovery. 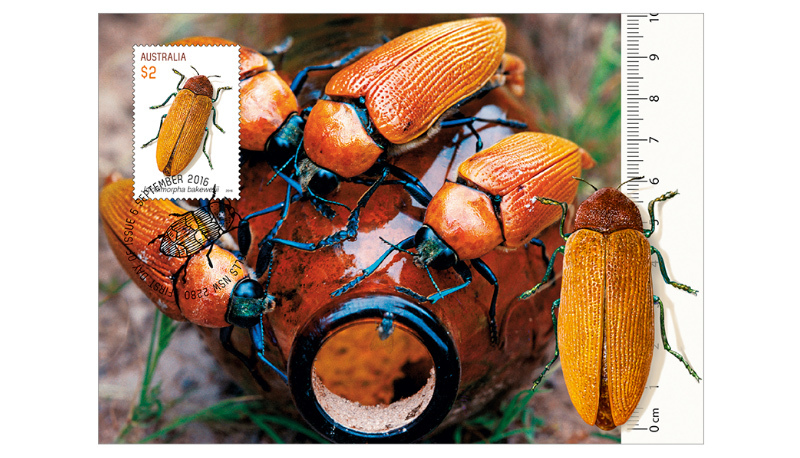 During the 1980s, entomologists David Rentz and Darryl Gwynne noted that males of the species, along the Nullarbor and into south-eastern Western Australia, were confusing amber-coloured bottles with females of the species, disrupting their mating system. The study was published in the Journal of the Australian Entomological Society in 1983. Many years later, in 2011, the entomologists were awarded an Ig Nobel Prize, which is presented annually for interesting yet amusing scientific discoveries. Until 2008, bakewellii was considered to be the only Julodimorpha species. 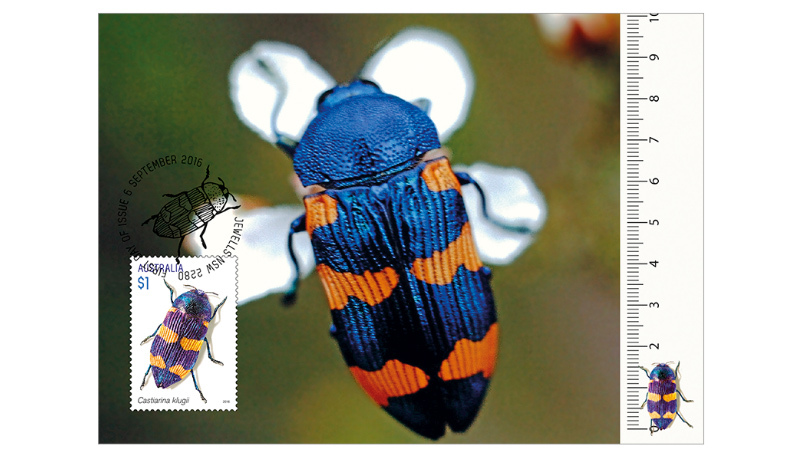 Renowned jewel beetle expert Dr Chuck Bellamy proposed that the beetle Julodimorpha saundersii, which had previously been a synonym species for bakewellii, was a species in its own right, and it was reinstated as such. However, saundersii is a rare beetle, only found in a small area north of Perth.